Cool Stuff 2/25 Independent comics rule! 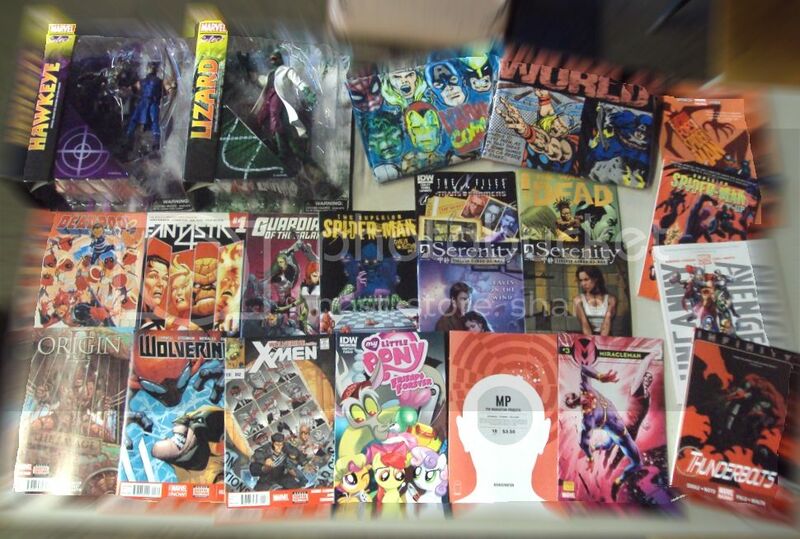 Posted: Wed Feb 26, 2014 8:00 am Post subject: Cool Stuff 2/25 Independent comics rule! Independent comics galore this week! then there's the new Wolverine series #2 and Wolverine: Origins II. Uncanny Avengers in paperback and Thunderbolts. For Indy comics, we received some more Serenity #1 for those who missed out along with Serenity #2. There's also a new Walking Dead, X-Files looks at the Transformers, Miracleman & Manhattan Projects. check them out all at 10% off retail!